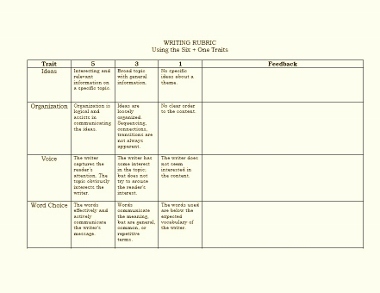 Our 6 elementary writing rubrics will help evaluate and guide your students' writing. LEARN MORE about Six Traits Writing. 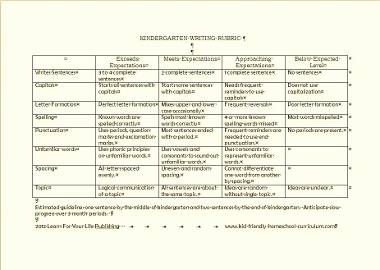 LEARN MORE about using the Kindergarten Writing Rubric. LEARN MORE about using the 1st Grade Writing Rubric. 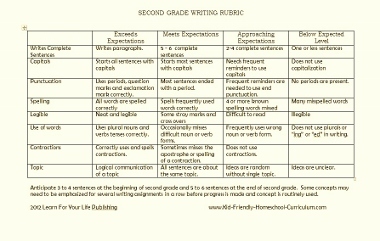 LEARN MORE about using the 2nd Grade Writing Rubric. 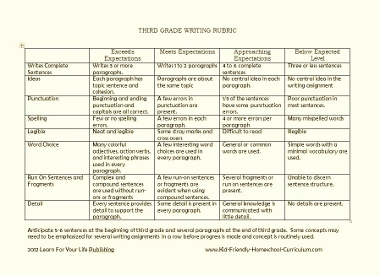 LEARN MORE about using the 3rd Grade Writing Rubric. 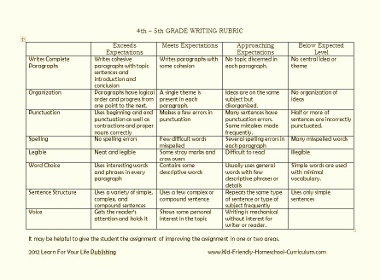 LEARN MORE about using the Fourth & Fifth Grade Writing Rubric. 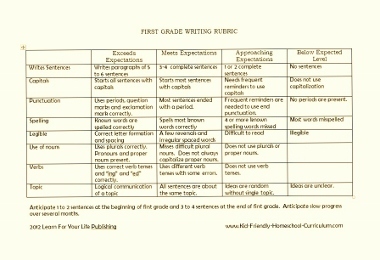 In addition to the elementary writing rubrics listed above, we have essay rubrics for middle school and high school. Read the assigned writing project your student has completed through two times. The first reading allows you to understand the basic intent, and the second time to focus on the details. Then re-read the student's paper again for EACH criteria. Keep in mind the difference in expectations for the beginning of the year and the end of the year. Slow progress is anticipated in the earlier grades. Add some sparkle to your writing with this hands-on writing curriculum. With the "Lights, Camera, Action, Write" projects, students will complete an activity and then write about it. The "Love Good Books" section incorporates writing with literature. And "Dear Diary" allows students to keep a once-a-week-record of the most memorable event of their week. 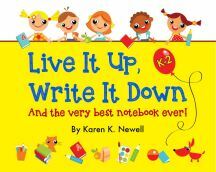 Not only is this a journey into writing, its a collection that demonstrates to the student how much they have learned. Keep your students guessing what is coming next. One Hundred different writing activities are provided which take students from simple sentences all the way to thesis development. Each activity gives students an unintimdating model. They use the model to write about the subject of their choice. Before you know it, well-organized paragraphs have produced cohesive essays they are proud to share.